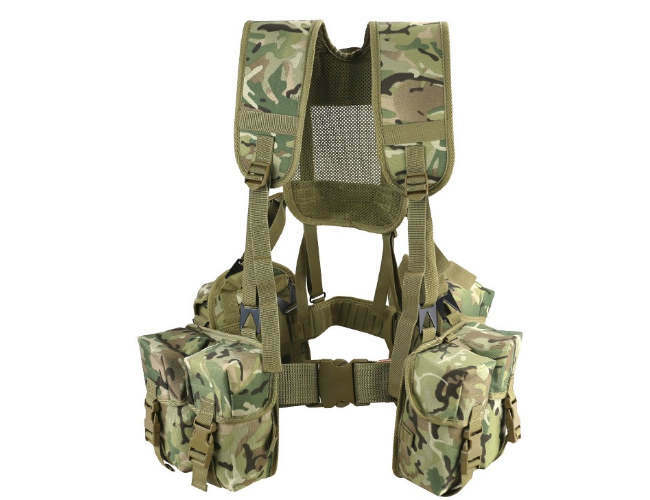 6 piece webbing set in multicam with ammo, utility pouches, belt and yoke. Made with water-resistant 1000d cordura for tougheness. This is a very good webbing set and great value for money.